EVENT FOOTPRINT DESIGN & EXPERIENTIAL DEVELOPMENT, SHOW COLLATERAL, PRINT. Our goal when bringing OtterBox to the International Consumer Electronics Show was changing perceptions. 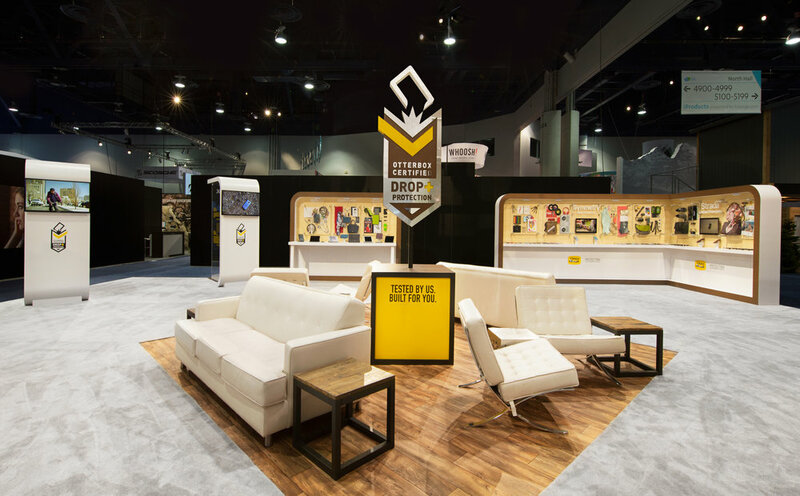 Using the massive stage of the show, I helped OtterBox design a space and experience that reinvented their image from ‘big and bulky’ to sleek, slim and built for everyone. The result was OtterBox's largest, most-visited footprint yet.